Have you ever experienced being bullied by schoolmates, playmates, peers and even strangers you come across in streets? Parents frequently come to our classes saying that their child has been bullied. Whether in school, on the bus or in your neighbourhood, it is a serious problem that plagues our society. Many school kids are bullied regularly during the school year, damaging their confidence and their self-esteem over repeat encounters. Studies have shown that kids who are bullied have a greater likelihood of smoking, alcoholism and drug abuse. In Qi Kwan Do Academies, our instructors and staff bring positive values to our students, seeking to enhance their self-esteem and self-confidence. 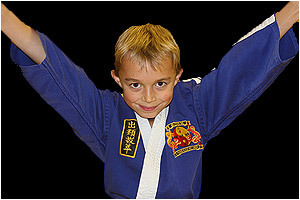 Through physical fitness and self defence training our students grow into their potential. Knowing you can defend yourself makes it much easier to avoid being victimized. The confident tone in our voice or the way we walk sends strong messages that we are not easy prey. Our LEADERSHIP program goes even further, teaching children not only respect and appropriate behaviour, but to actively work towards helping one another and being aware of the needs of people around them. Good leaders are an enabling force, helping the people around them to perform and develop. Important leadership qualities such as confidence and charisma can grow through experience in the leadership role - even a quiet and modest individual can become a great leader. Teaching our youth to be good citizens and a positive influence in their families and communities is a big part of Qi Kwan Do Martial Arts.